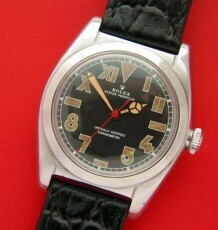 Freshly serviced Canadian market Rolex with redone Roman Arabic California dial. The Rolex calibre 59 movement has the popular sub-seconds register. 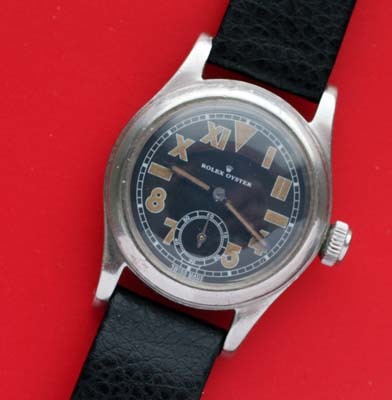 These vintage Rolex models were typically found in Canada starting in the 1930’s and have become known amongst Rolex collectors as Canadian Rolex’s. 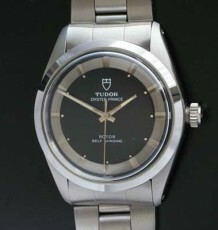 Rolex Canada operated as an autonomous company away from the Swiss parent until sometime in the 1960’s, this allowed them to introduce several models that are not found elsewhere in the world. One of the main pieces of the Canadian Rolex models is the use of the Rolex calibre 59 movement, in essence a Swiss ebauche 10.5 ligne movement with a Rolex modified balance. 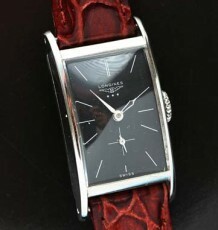 These movements were every bit as durable as the other Rolex 10.5 ligne Hunter movements of the 30’s and 40’s. This watch has had the dial redone in the popular Roman Arabic “California” pattern and it is a stunning restoration with expertly toned luminous and the popular sub-seconds register. 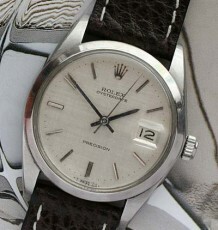 Please note the highly sought after original vintage Rolex Oyster patent crown. The watch was just serviced by my Rolex trained watchmaker and comes with our limited 90 day warranty.